It was raining when we left Hakodate for the quiet town of Shiraoi, via Noboribetsu. 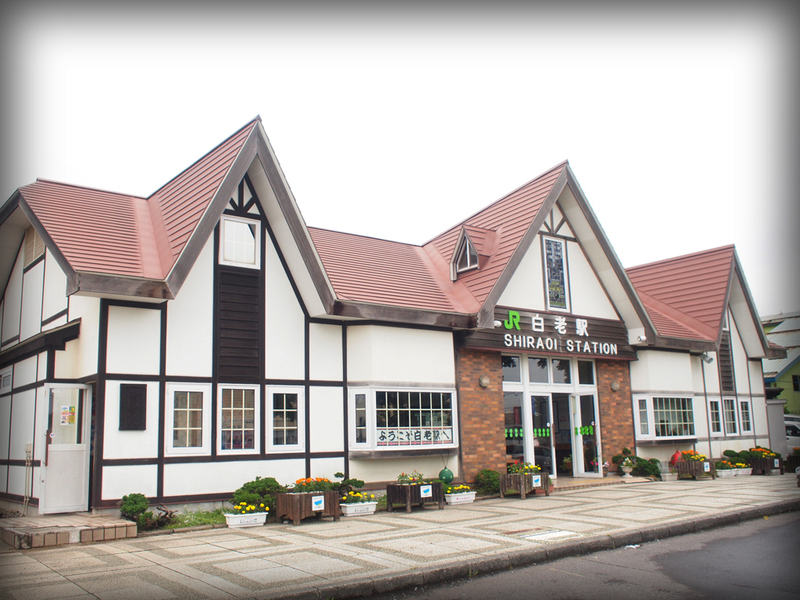 It left me quite worried, as we planned on visiting the Shiraoi Ainu Museum which we had to walk quite a distance to get to from the train station. Moreover, half of the museum’s exhibits were outdoors. Fortunately, the train ride to Shiraoi took a couple of hours, and by the time we arrived at 1.51pm, the skies had ceased pouring. From JR Shiraoi station, we walked 15 minutes along a clean and quiet road to the museum. Cars seemed to be a rare sight in Shiraoi! After a while with no cars, few people and even fewer public buildings in sight, I started to panic. Have we gone the wrong way?! It didn’t help that street signs were in Japanese, and all I recognised were the characters of Shiraoi. Thank goodness the husband had more faith than I did, and we pressed on. Eventually we spotted this wood carving in the distance, signalling the museum was nearby. Phew! 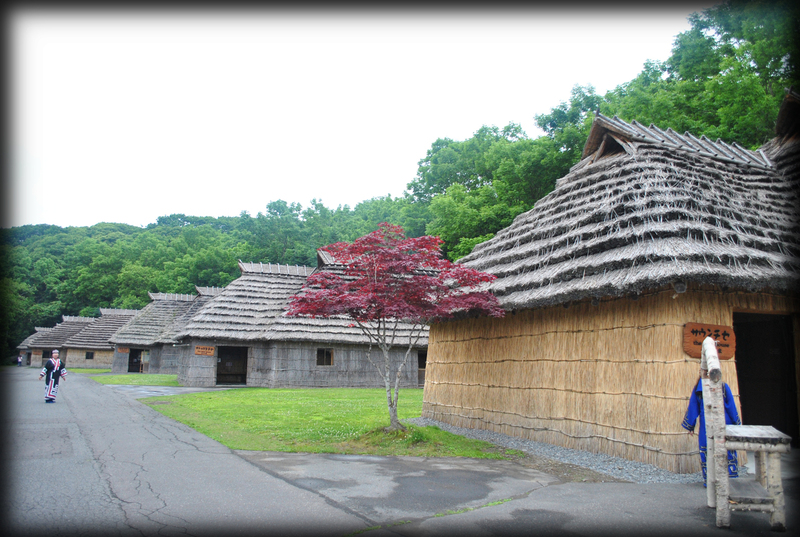 Shiraoi Ainu Museum is said to be one of Hokkaido’s best Ainu museums, which was why I chose to make a day trip here. 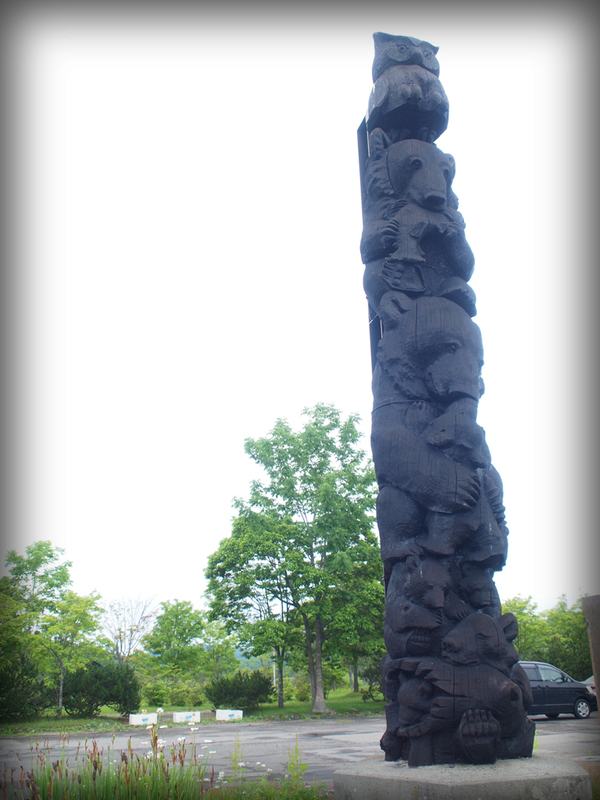 The husband and I enjoy cultural attractions that teach us something about the destination, and the museum is supposed to take us into the world of the indigenous people of Hokkaido. Admission costs 750 yen per adult, and after a few minutes inside, I was disappointed. My first source of disappointment was the museum’s outdoor replica of a traditional Ainu village, which comprised a cage with two (or maybe it was three) snow-white dogs and four cages with a bear within each. The dogs were a close companion of the Ainu people, while the bears were sacred animals that acted as the earthly bodies of gods who came to help the people. 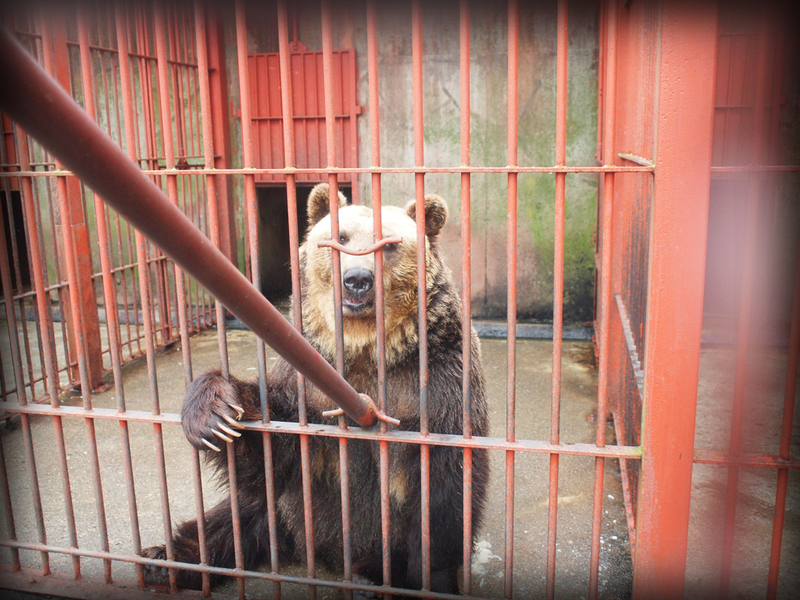 Furthermore, the cages for the bears were quite small. I noticed that one that tried to stand could not even stretch up fully. The second source of disappointment was the way the settlement was presented. There were just this bunch of houses and small enclosures on stilts where the people would have kept their grains and food. 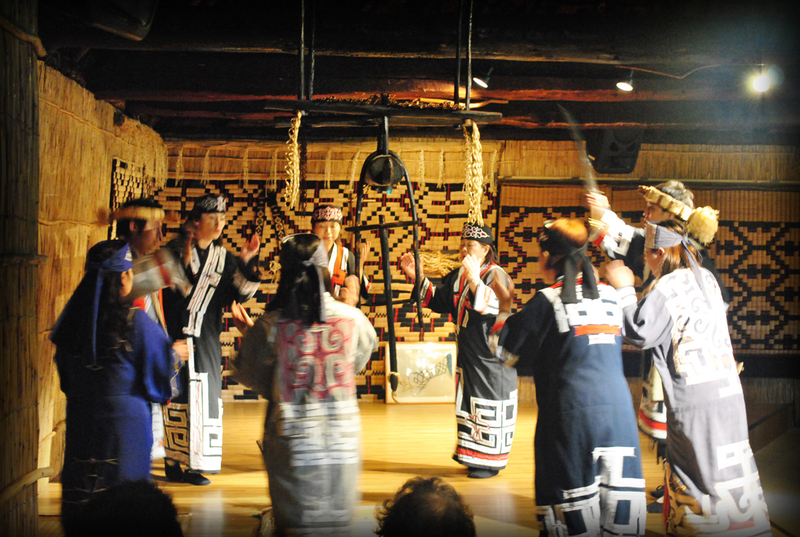 A few daily performances of Ainu songs and dances were held, and we managed to catch one. The narrator spoke in Japanese, and the English brochure gave little explanation of what we were watching. This, by the way, is the third source of my disappointment. Fortunately, an indoor exhibition hall offered a better introduction to the Ainu people, and there was English explanation on the storyboards. 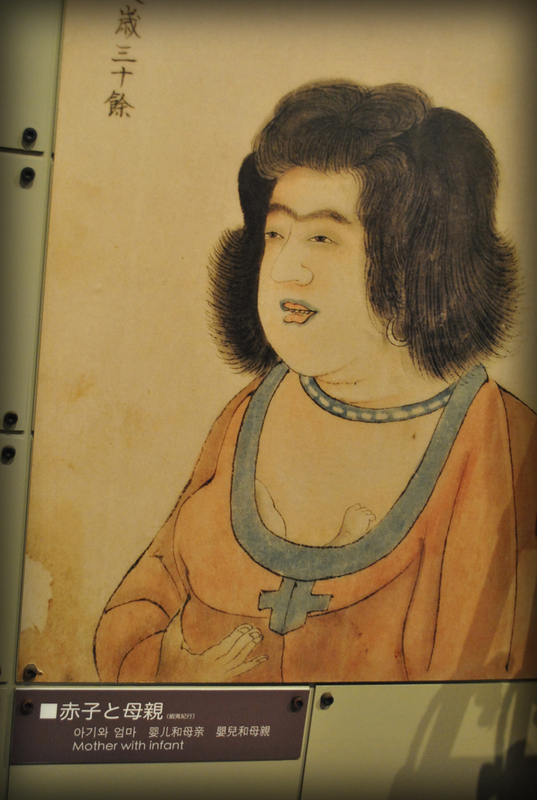 Now I would like to bring your attention to this photo of a ravishing Ainu lady. Can you spot the baby? Oh, and note the stylish monobrow. 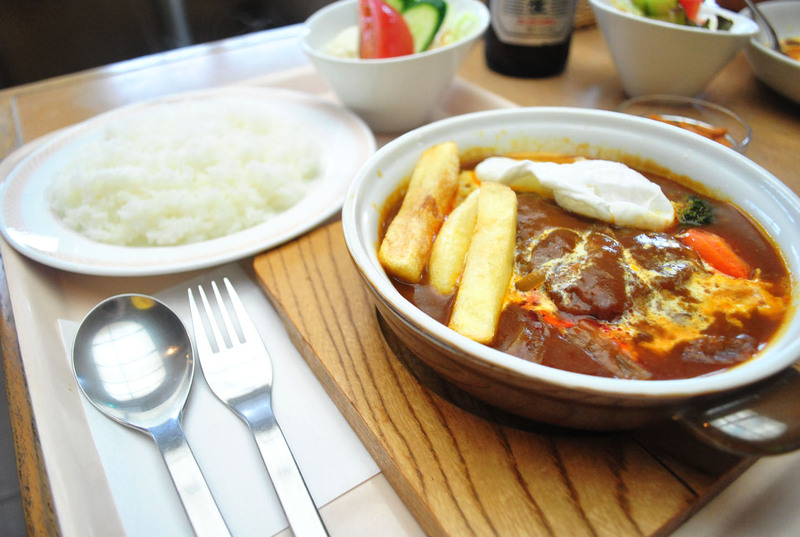 While I had reminded the husband countless times earlier on the train that we must depart the museum no later than 4.30pm, in order to catch the train to Otaru, we realised eventually that our attention was spent by 3.30pm. So we made our way back to the train station. We took a different route back this time, and discovered this little footpath. 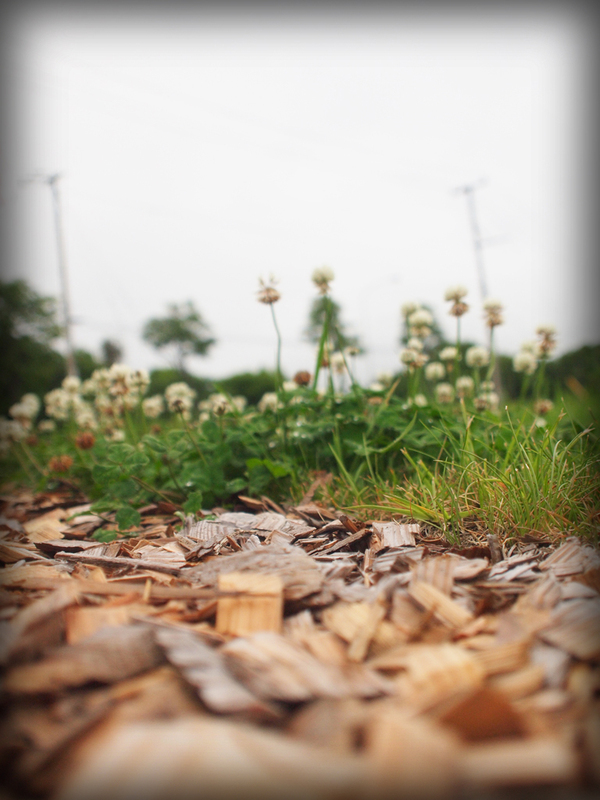 Guess what lies beneath our feet? Since we had loads of time on our hands before our ride at 5.06pm, we ventured into a little eatery, located just a stone’s throw from the station, and enjoyed a late lunch of beef stew (for me), curry beef rice (for him) and way too much beer. And that was that for Shiraoi. From there, we took the train back to Sapporo station and hopped on the airport express, bound for Otaru.